Explore our collection of personalised cakes and cupcakes; for birthdays, celebrations, weddings, well done, congratulations, whatever the occasion we have the cake for you. bakerdays have hundreds of designs to choose from and with next day delivery available we can deliver in time for your party. 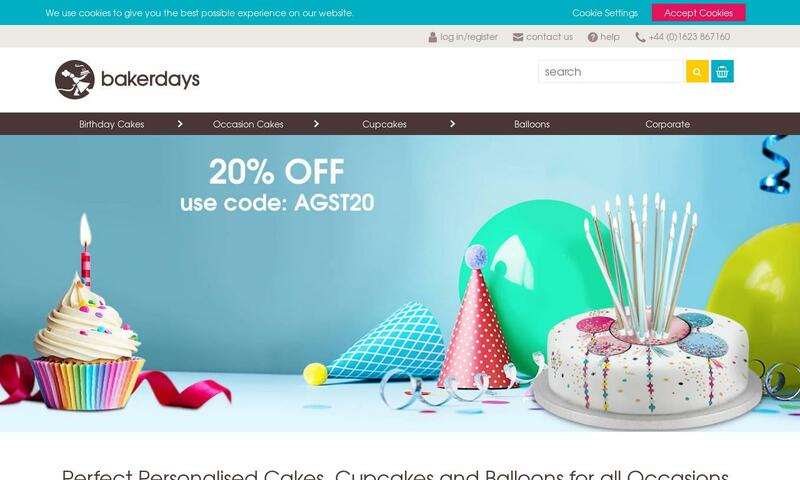 Personalise your own cake with bakerdays. Buy cakes online from £14.99.